However, this member of the Comerford family has been commemorated without his first name being recorded [see Chapter 13: Comerford of Ballinakill, Rathdrum and Courtown]. On the other hand, one branch of the Comerford family played a sad role in the events that eventually led to the 1798 Rising in Co Wexford, and at least three members of the Comerford family in Co Wexford were interesting witnesses to the events surrounding the Rising, with each playing and dramatic a crucial role in the events in that year of revolution. Edward Comerford (?ca 1721-post 1762) was living at Brownstown, near Newbawn, Co Wexford, in 1762 [see Chapter 11: Comerford of Horetown, Newbawn, &c., Co Wexford]. 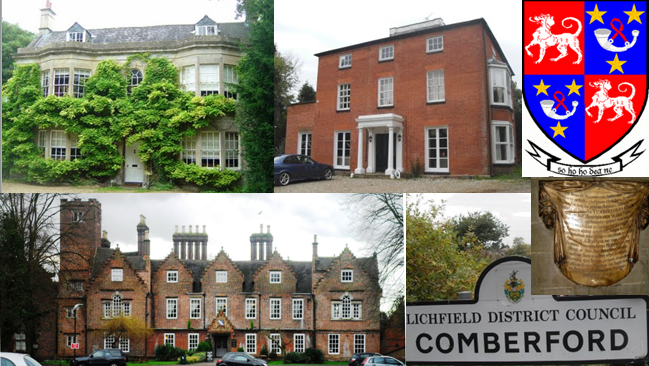 In that year, when Edward Comerford, Mathew Murphy, John Byrne and Thomas Burke were among the displaced Catholic tenants who had been evicted by Robert Leigh (1729-1802/3), the landlord of Rosegarland. The eviction of Edward Comerford and the others has been linked to the moves by Leigh to settle the area with Protestant freeholders who would vote for the Tottenhams of New Ross. A generation later, at the outbreak of the 1798 Rising, John and Samuel Cottoms were among those killed in the massacre at Scullabogue Barn near New Ross. James Comerford (ca 1775-1825), of Ballyminane, Newtownbarry, Co Wexford, witnessed the events in 1798 in the Killane and Bunclody areas of north-west Co Wexford. James was born ca 1775, a son of Edmond Comerford. His niece, Eleanor Comerford, was married to John Whitty, a first cousin of Father John Murphy of 1798. A nephew, James Comerford of Carlow, was father of the Carlow historian, Bishop Michael Comerford [see Comerford Profiles 16: Bishop Michael Comerford (1831-1895), bishop and historian], who was a co-founder of the Ossory Archaeological Society and author of the definitive history of the Diocese of Kildare and Leighlin. After the 1798 Rising, as James Cummerford, he was called as a witness in the trial of three rebels from the Killanne and Kiltealy area in Newtownbarry (Bunclody) on 5 November 1798. The evidence at the court martial stated that James knew the prisoners and had frequently seen them associating with the rebels, armed with firearms. James Comerford, whose portrait was painted by the Kilkenny-born miniaturist John Comerford around 1808 [see Comerford Profiles 13: John Comerford (1770-1832), artist], died on 6 November 1825, aged 50. He is buried with his father in Templeshanbo Church of Ireland churchyard with his father Edmond, his son Richard and his brother Thomas. 1, Richard Comerford (ca 1796-1848), of Newtownbarry. 2, Robert Comerford (ca 1806/07-1864), of Wexford and Newtownbarry. 3, Michael Comerford (ca 1808-1868), of Ryland Lower, Newtownbarry, who is buried in Saint Colman’s Church of Ireland churchyard, Templeshanbo. 4, James Comerford (ca 1817-1902), of Wexford and Dublin [see Comerford Profiles 18]. 5, Catherine, who married Philip Murphy of Mullawn, Kiltealy. In 1868, she erected a gravestone in Templeshanbo for her brother Michael and her uncle Thomas Comerford. 6? Ellen, married Michael Rowe in Saint Aidan’s, Enniscorthy on 24 September 1847. They first lived in Enniscorthy and later in Newtownbarry. The brothers Richard, Robert and later James Comerford worked throughout Co Wexford on the Gothic Revival churches built in the 1830s, 1840s and 1850s by the Wexford-born architect Richard Pierce and the English architect, Augustus Welby Pugin. These churches included Saint Aidan’s Cathedral, Enniscorthy, Saint Peter’s College, Wexford, and Wexford’s twin churches in Rowe Street and Bride Street. James Comerford (?ca 1763-1798), who was one of the first people killed during the 1798 Rising. This James Comerford was one of the four Protestants killed in the attack on Kyle Glebe in Oulart Village, along with Samuel Judd, Thomas Earl and Joseph Aston after the Rector of Kilmuckridge, the Revd Robert Burrowes, was murdered in front of the house prior to the Battle of Oulart Hill on Sunday 27 May 1798. In his narrative of the 1798 Rising in Co Wexford, Sir Richard Musgrave indicates that James Comerford was a parishioner of Robert Burrowes, although the local historian, Brian Cleary from Oulart, states he was also a Yeoman. James Comerford’s widow Elizabeth and their five children, who were at Kyle Glebe that morning, survived those horrifying events. 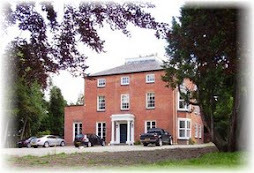 They were probably taken with the Burrowes family to Castle Annesley, the home of the Clifford family in Kilmuckridge – Sally Clifford was a niece of Robert Burrowes. From Castle Annesley in Kilmuckridge, it appears, the Comerford and Burrowes family were taken to Wexford town. These two James Comerfords were contemporaries with another Comerford player in the events of 1798 in 1798 – the Revd Laurence Comerford (1751-1847) of Newbawn and Adamstown, Co Wexford. While he was the curate in Ballymore and Mayglass in 1798, the church at Mayglass was burned by soldiers who were retreating from Wexford to Duncannon on 30 May 1798. Four years later, in 1802, Father Laurence Comerford was made Parish Priest of Monageer, then known as Clone and Boolavogue, succeeding the Revd Patrick Cogley, who had been a victim of vicious Orange attacks. The parish of Clone and Boolavogue represented the old parishes of Clone, with portions of Templeshannon (Enniscorthy), Ballyhuskard and Kilcormack. Boolavogue, which was then a curacy in the parish, is still closely linked in folk memory with the 1798 Rising and Father John Murphy of Kilcormack. One of Laurence Comerford’s first tasks as the new parish priest was to rebuild the chapel of Boolavogue, which had been set on fire on 27 May 1798 while Father Murphy was the curate in the parish. Father Laurence Comerford, was born in 1751. The house where he was born was still being pointed out in 1986. He was related to Bishop Nicholas Sweetman (1700-1786) of Ferns, and to the Fitzhenry and Murphy families. Laurence was ordained by Bishop Sweetman, and the first record of his ministry is in 1782, when the “Rev Mr Cummerton” and Loughlin Doyle were witnesses at a wedding in Cushinstown. On 9 November 1789, he was appointed a curate to the Parish Priest of Bannow, Canon Michael Fitzhenry, who was in ill-health. Canon Fitzhenry was a nephew of Bishop Sweetman, who had died three years earlier, and his predecessors at Bannow included the Revd John Fitzhenry, who was curate 1751-1782, a cousin or uncle of Laurence Comerford. Less than a month after Laurence Comerford’s arrival in Bannow, Canon Fitzhenry died on 4 December 1789, at the early age of 49. A fortnight later, on 17 December 1789, Laurence Comerford was transferred as curate to the parish of “Ballymore and Mayglass,” where his parish priests were Canon Peter Sinnott, until 1795, and then the Revd Aedan Ennis. Comerford’s time in that parish was marked by the events of the 1798 Rising. The church at Mayglass was burned by soldiers who were retreating from Wexford to Duncannon on 30 May 1798. In 1802, Laurence Comerford was made Parish Priest of Monageer, then known as Clone and Boolavogue, in succession to the Revd Patrick Cogley, who had been the victim of vicious Orange attacks, and who was transferred to Duncormack or Rathangan. The parish of Clone and Boolavogue represented the old parishes of Clone, with portions of Templeshannon (Enniscorthy), Ballyhuskard and Kilcormack. 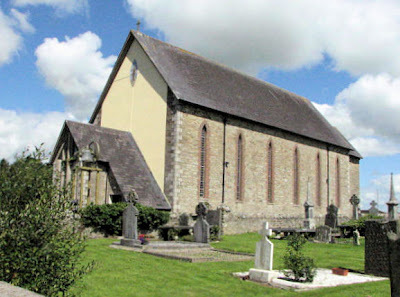 Boolavogue, which was then a curacy in the parish, is still closely linked in folk memory with the 1798 Rising and Father John Murphy of Kilcormack. One of Laurence Comerford’s first tasks as the new parish priest was to rebuild the chapel of Boolavogue, which was set on fire on 27 May 1798 when John Murphy was curate. Laurence Comerford “laboured zealously until his retirement in 1816. He went to reside with his relatives in Adamstown.” His successor as parish priest was the Revd Nicholas Codd, previously a curate in Enniscorthy. Father Laurence Comerford survived another 29 years, living in retirement in Adamstown. In his old age, he was totally blind and was led around the roads of Newbawn by his nephew. He had a reputation as a healer, and people came from far and near to visit him. He died on 5 September 1847, in his 95th year. His inscribed tomb is in the old cemetery in Newbawn. Patrick Comerford, visit to Ballinakill, Co Laois, 2008. Kevin Whelan (ed), Newbawn, p. 45. Gravestone inscription names him as Edmond’s son. See Cantwell v, p. 217, where his name is incorrectly transcribed as John. Original gravestone checked by Patrick Comerford 12 June 1986. Transcripts from court martial, Newtownbarry (Bunclody), 5 November 1798, courtesy Gloria Binnions, Killanne. Cantwell v, p. 217; Murphy, Templeshanbo, p. 43, # 44; checked and corrected by Patrick Comerford 12.6.1986. Cantwell, v, p. 217; Murphy, Templeshanbo, p. 43, # 43, and p. 50, # 94; checked by Patrick Comerford, 12.6.1986. Brian Cleary, ‘The Battle of Oulart Hill: Context and Strategy,’ The Past, Uí Chennsellaig Historical Society (Enniscorthy, 1995), pp 22-23; Daniel Gahan, The People’s Rising: Wexford 1798 (Dublin: Gill & Macmillan, 1995), pp 19-21; (Sir) Richard Musgrave, Memories of the Rebellion in Ireland (4th ed., eds SW Myers, DE McKnight, Enniscorthy: Duffry Press, 1995), pp 310-312, 714, 743. See Musgrave, pp 210-312, 714, 743. Whelan (ed), Newbawn, p. 28. Whelan (ed), Newbawn, p. 64. Whelan (ed), Newbawn, pp 26, 28, 29, 64. Cushinstown Parish Register (Old Ross, Carnagh and Ballyanne), 17 January 1782. Whelan (ed), Newbawn, pp 26, 28, 29. Grattan Flood, pp 141, 145. Whelan (ed), Newbawn, p. 26. Grattan Flood, pp 38-39; Cantwell says he died on that date in his 96th year, Cantwell, 8, #372. Grattan Flood, p. 39; Cantwell 8, #372. © Patrick Comerford 2008, 2009, 2013; last updated 2 and 21 December 2009; 27 November 2010; 14 April 2013.